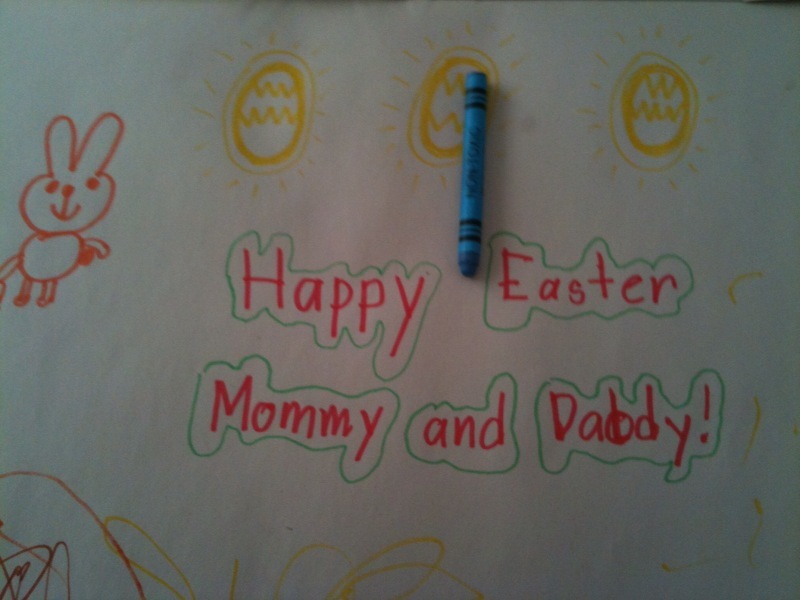 I want my Nanny: Celebrating Springy Easter! 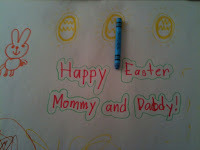 Thank you readers for your comments about my last Easter post. With your advice, I've decided to embrace it as a way to celebrate Spring. Dear A and K made their traditional holiday greeting card for us, decorated with eggs and bunnies this time, and spent time reading Easter books, religious and non-, from the library. For my part, I decided K should help me make an Easter/Spring treat for his friends and family. I’d read a few recipes for edible nests that you can fill with eggs, lovely delicate concoctions made out of shredded phyllo…lovely, but not particular manageable as a toddler craft. 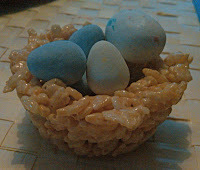 Instead, K and I went with rice krispie treats. We used the same process as the fancy ones, shaping into nests using muffin tins. I think they turned out great, and K definitely got the whole eggs come from nests thing. He’s a bit confused about what kind of chicken lays chocolate eggs, but who isn’t! Happy Springy Easter to you all!